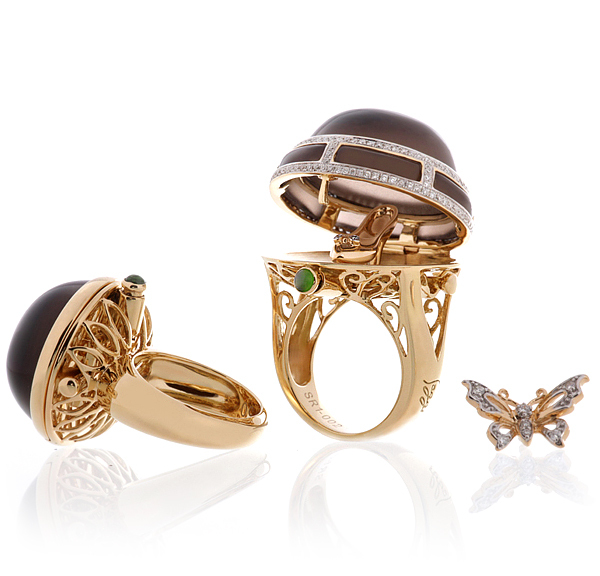 English jewelry house Saggi introduced a new collection of luxury rings. 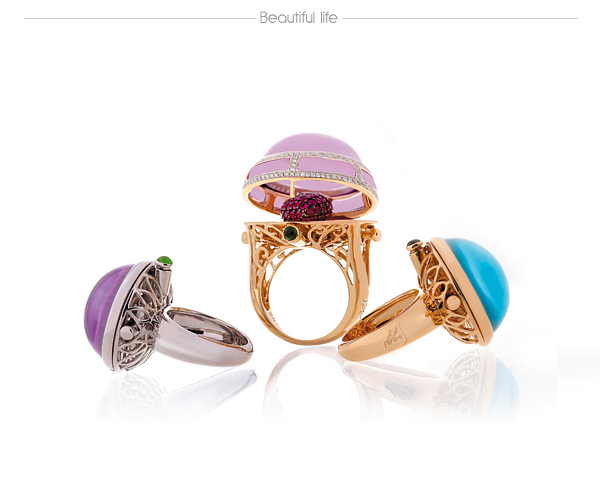 This beautiful collection consist of volumetric rings. 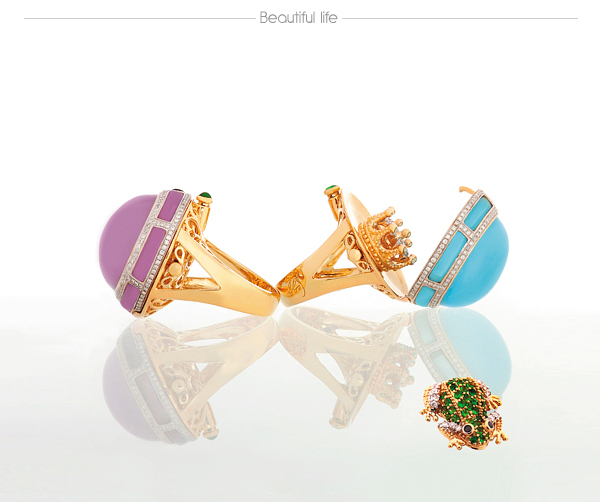 A central element of each is a massive, semi-precious stone, framed with gold ornament and loose of diamonds. However, this is only the outer shell under which lies a miniature jewelry composition. Hidden heart can be seen by clicking the button from the Yakut emerald of reach green color. 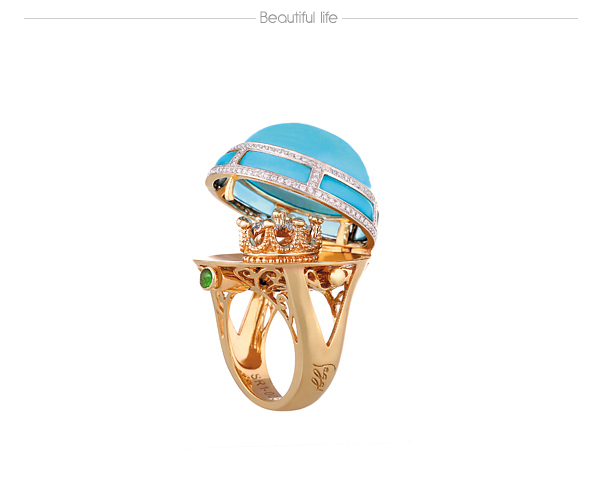 And the owner of this beautiful luxury jewelry can replace miniature and get a new beautiful ring. 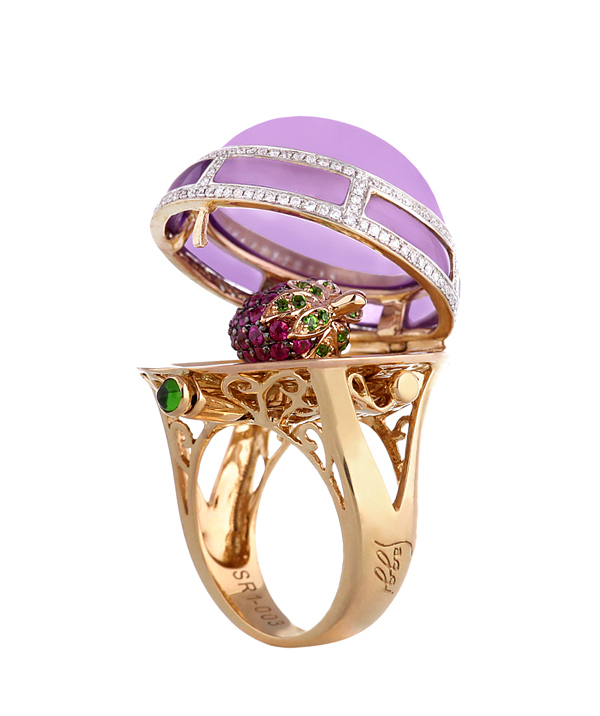 The rings are made of yellow and white gold 750-carat, decorated with 25 carat blue-London Blue and Swiss Blue topaz, Rauch-topaz and amethyst, surrounded by 156 diamonds. 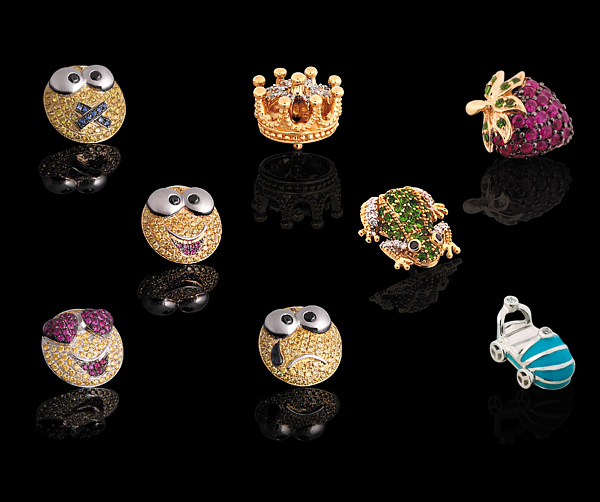 Miniatures are made of gold, decorated with colored enamel, diamonds (black, white and "champagne"), rubies, and sapphires. 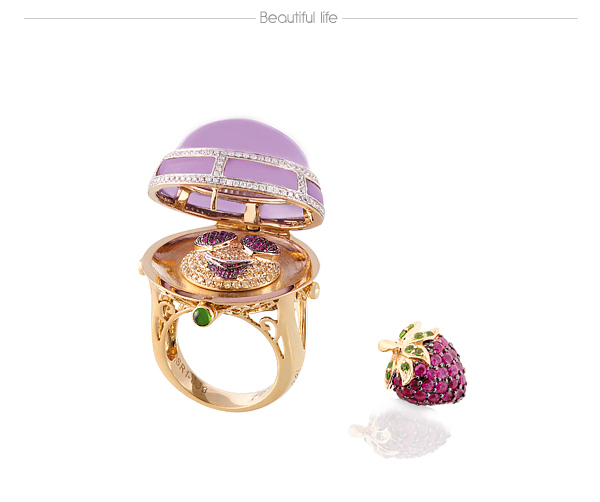 Hello, I am interested in purchasing the berry peek-a-boo ring and perhaps another one; what is the cost? What a great idea having a small little trinket inside the ring. The big chunky rings are all the rage now! I’m in love!!!!! How to buy some from you collection? these collection is very nice. i just love it.